Hello, Gorgeous! : soak it in. Really cute outfits! I love the loafers. Love your blog! I've been getting so many ideas for work outfits :) thank you! So bummed I didn't win :( BUT, congrats to the lucky reader who did. I really have to say that I love all these looks posted here. Those Target loafers are adorable and so is that perfectly put together outfit. Been looking for the perfect stripped shirt to layer under a blazer. 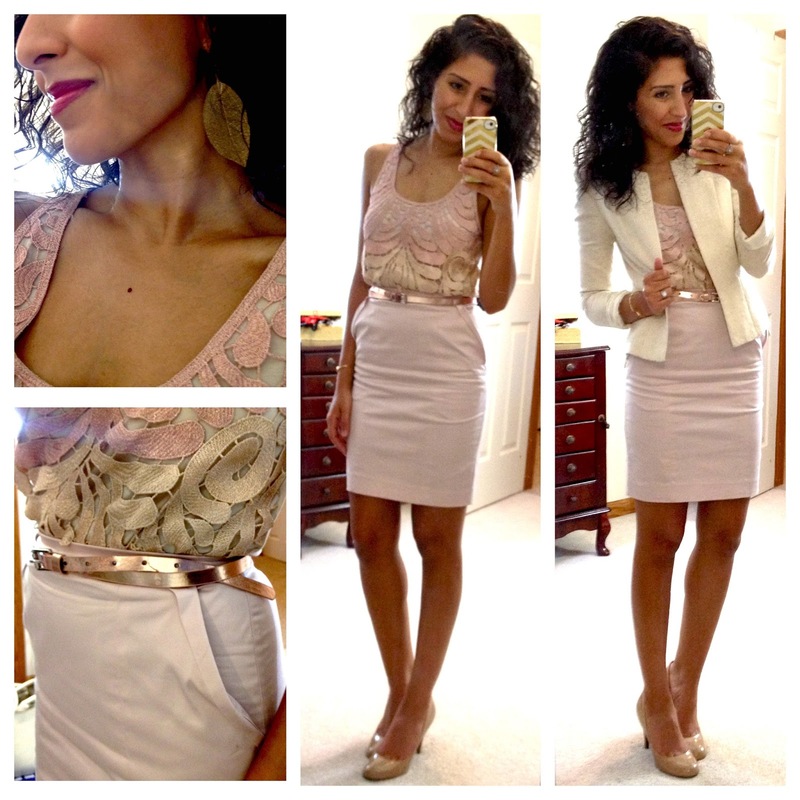 Your express top is so beautiful and those earrings match to a t. Wonderful post my dear! 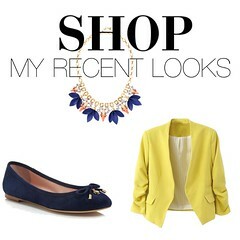 I love that necklace in the first outfit, along with the pop of color with the shoes! I love your outfits! I get tons of ideas from you! The white pants green blazer really convinces me to get a pair of white skinnies just in time for the end of season sales! Thanks! 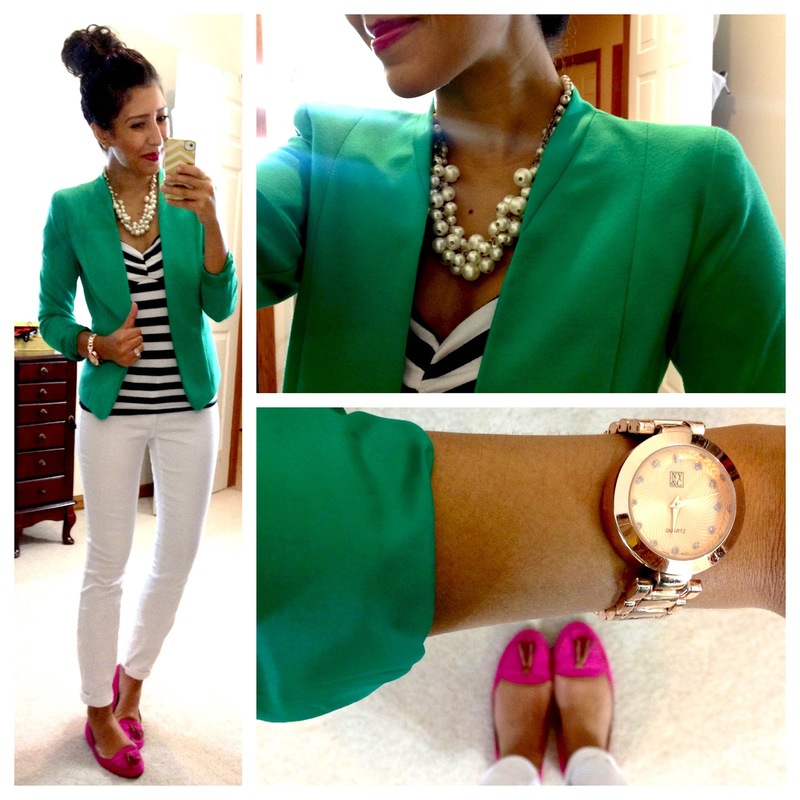 Love the last look with the Green blazer and pop of pink in the shoes! Love that coral and turquoise look! !